Ulaanbaatar /MONTSAME/ Before the session for the establishment of the Media Council of Mongolia (MCM), a meeting was held to found the Media Council for Journalists NGO, and it approved the Council’s charter. At the meetings of the PCM’s branches of newspapers, radio and local media, members of the Council’s board and the Media Council wereelected; it was approved on January 7 at the MCM session. The Council’s Board has 15 members, and the Media Council has 30 members divided into two committees. An executive director of the Mongolian TV channel, Ch.Nomin,was selected as the MCM’s Board; a legal advisor to the Daily Newspaper, Sh.Sukhbaatar, as a chair of the Ethics Committee of Printing and Online Media; and a teacher of the Mongolian State University of Education, Dr. J.Batbaatar, as a chair of the Ethics Committee of Broadcasting. A general manager of the Government News, S.Batbaatar,emphasized the importance of the MCM’s establishment, saying that it was a historical event. The MCM's key function is to develop ethics in journalism in order to provide the public with information, and it will prevent journalists from being constantlysued," said U.Tamir, head of the Developmental Forum for Information and Communication Potential NGO. According to a survey, courts passed verdicts on 297 civil cases and 16 criminal cases againstjournalists between 1999 and 2011. 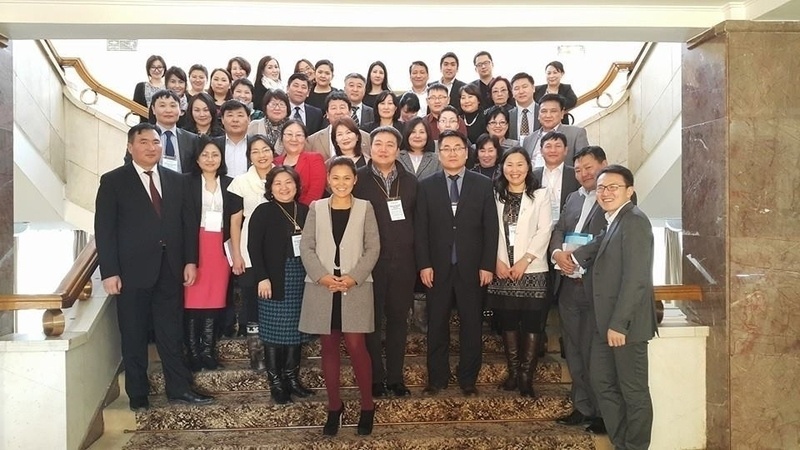 The MCM’s main objectives are to protect press freedom, the reputation of the media and the interests of journalists and also, to ensure that journalism ethics and professional norms are adhered to: the goal is to create responsible journalism in Mongolia. 3. Analyze requests, convictions and appeals, and require the rectification of professional errors made by media organization instead of immediately demanding punitive measures, such as fines or closing the operation of a media organization – where applicable. To protect freedom of the press and the media's reputation, develop free and responsible journalism and enforce ethic compliance of journalists and professional standards as means of serving the public interest. 3. Analyze, examine and assess complaints received from citizens about news, articles, programs and journalistic work published / spread by organizations and journalists registered and operating in Mongolia. © 2018 Монгол улсын хэвлэл мэдээллийн зөвлөл. Зохиогчийн эрх хуулиар хамгаалагдсан.